The Tracer EX2 Wheelchair sets the new standard in manual wheelchairs. The Tracer EX2 combines the design and technology of the 9000 series and incorporates it into the Tracer series. A true dual axle position allows for repositioning the 24″ rear wheels and 8″ casters for adult and hemi seat-to-floor heights. Hemi spaced footrest and a full range of accessories. The new design also makes it possible to interchange components with the 9000 series chairs. 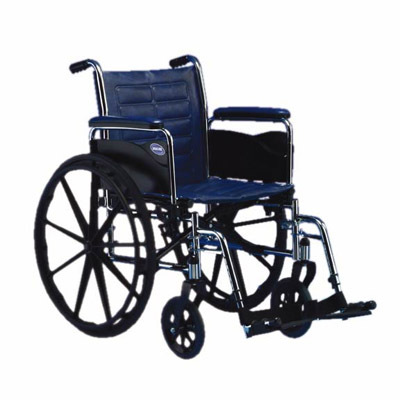 Meets RESNA standards for manual wheelchairs in product performance.